It was a beautiful spring morning; the Giants were getting new tattoos and the other inhabitants of Small World were preparing for another day of fighting. A strange silence then settled across the country as a huge shadow slid over the forests and mountains. 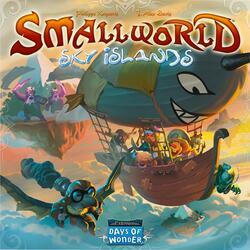 Be careful this game is an extension of Small World and cannot be played alone. To be able to play it you must have a copy of the game Small World .